Ratan Pearls is one of the popular residential Project in Sector-16, Noida Extension. The Project is launched by Ratan Group. The group is managed by professionals of long standing in real estate development and have high regards for timely possession, high quality and transparency. The project is offering 2/3 BHK flats. 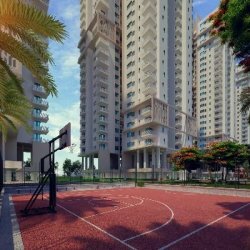 Ratan Pearls is a high rise luxurious and affordable residential complex ideally situated in the mid of Noida extension, a location is cherished by all.